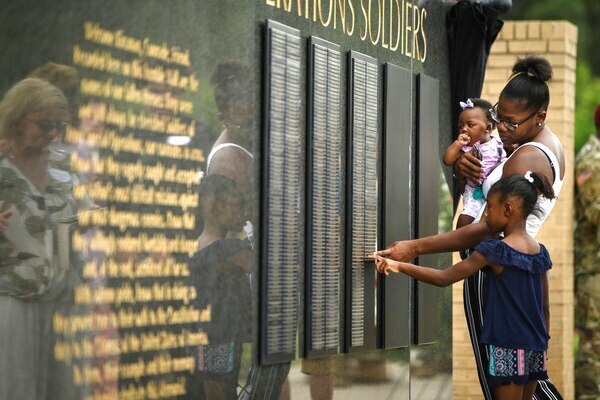 FORT BRAGG, N.C. — The names of four Special Forces soldiers killed last year in an ambush in Niger were among 12 added to a memorial wall at Fort Bragg. The Fayetteville Observer reported the names of Staff Sgt. Bryan Black, Sgt. 1st Class Jeremiah Johnson, Staff Sgt. Dustin Wright and Sgt. 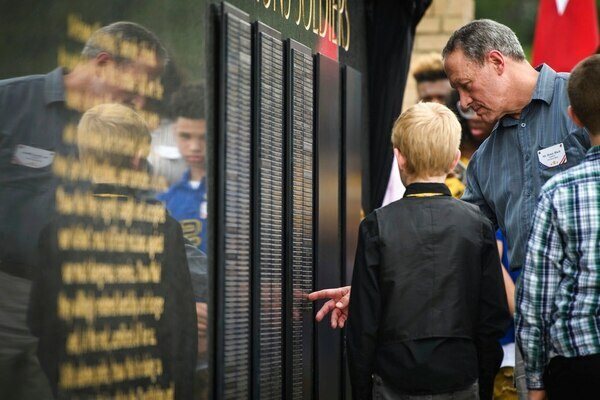 La David Johnson were added Thursday to the U.S. Army Special Operations Command Memorial Wall. The four died in the Niger ambush in October. Each soldier was an exceptional American who left behind a legacy of valor, professionalism and selfless service, said Lt. Gen. Kenneth Tovo, commanding general of the U.S. Army Special Operations Command. “Neither the words nor the deeds of the living can adequately honor the actions and commitment of those who gave the last full measure of devotion for the nation,” Tovo said. The wall includes combat deaths dating back to World War II. It now has the names of 1,218 soldiers from Special Forces, civil affairs, psychological operations, Rangers and other special operations units. Hank Black, father of Bryan Black, said the family didn’t need a wall to ensure his son’s memory. But it’s reassuring to know that others will remember him, Hank Black said. The families of the four soldiers, who are from Florida to Washington, hadn’t previously gathered in one place. Michelle Black, the widow of Bryan Black, said the families of the four soldiers have found a common bond that is helping each of them heal. Earlier this month, Army investigators said the ambush was an attack unlike anything American troops had seen in Niger in the past, with a well-trained enemy force outnumbering the Americans and their allies 3-to-1. Although some questions remain, Hank Black said one thing is clear: The Special Forces team performed amazingly against tremendous odds. Other soldiers whose names were added to the wall are: Staff Sgt. Mark R. de Alencar, Staff Sgt. Aaron R. Butler, Sgt. 1st Class Stephen B. Cribbe, Sgt. 1st Class Mihail Golin, Chief Warrant Officer 3 Jacob M. Sims, Sgt. Joshua P. Rodgers, Sgt. Cameron H. Thomas, all of whom died in Afghanistan; and Staff Sgt. Logan J. Melgar, who died in Mali.